Nandamuri Balakrishna’s most anticipated 100th film, Gautamiputra Satakarni is a hot cake in distribution circles. The magnum opus is continuously making a buzz in Telugu states raising the curiosity big time. 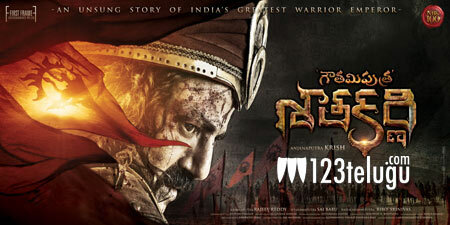 Balakrishna’s royal first look and exhilarating teaser generated tremors in the industry. Producers Rajeev Reddy and Saibabu Jagarlamudi take pleasure to announce that business of their project is closed in both the two Telugu states. The producers say that there was heavy competition for these distribution rights and some known personalities have spent some good amounts to bag these rights. Directed by Krish, this film is up for a release on January 12th 2017.